Posted on August 1, 2014 by Hong Kong Wargamer Tagged Advanced Squad LeaderASLASLSKBoard GameChinaHong KonginterviewMulti-Man PublishingShanghaiwargameWorld War II	CommentsNo Comments on Shanghai 1937 in Flames!!! Very briefly, what is the Advanced Squad Leader system? Advanced Squad Leader is a detailed tactical gaming system that models company to battalion level combat in the Second World War period. It simulates an amazing range of combat parameters: from weather to terrain, national characteristics, leadership and morale, different weapon systems and artillery support. This allows the examination of engagements from the Pacific theatre to desert terrain, to European theatre and even tundra conditions. It’s detailed enough to have rules for night battles and for vision effects under differing moon phases. How do you generate new scenarios? Scenario designers from all over work with Multi-Man Publishing and other third party publishers to produce scenario packs and/or entire new modules (settings) that includes map boards and new counters that represents new nationalities, troop types or weapon systems that did not already exist in the system. Scenario designers combine detailed research of certain engagements and various elements including weather, terrain, troop types, conditions and morale, weapons available and ammunition supply into an abstraction that may or may not completely parallel historical outcomes. The best scenarios often have a creative feeling of the historical events, yet balance out asymmetric conditions, allowing both sides equal chances of winning the engagement. How good is the system at simulating the Second Sino-Japanese War? Are the results realistic, i.e. are they similar to what really happened during the war? This is a game system that reflects the feel of the position the opposing commanders faced. It seeks to address asymmetric conditions that battles often are while giving both sides a balanced opportunity to prevail through specific winning conditions and other parameters. For example : if you look at the battle at Shanghai’s Sihang warehouse*) alone, you will find at least four scenarios from different designers that put their own interpretation to the events. My favorite of the four is a scenario named “Shanghai in Flames” where the Imperial Japanese Army (IJA) battles top quality Chinese troops (who were still around at the time) across a generically represented map reflecting the terrain styles, into the warehouse. Some of the buildings start already on fire and may spread according to wind conditions as the battle progress. As the Chinese fight a desperate withdrawal through the streets against the IJA pushing aggressively in, as the spreading fire almost becomes a third player, routing friends and foes alike. Producing realistic results is not the primary objective of Advanced Squad Leader designs. Putting players under similar decision making parameters and operating constraints to reflect the feel of combat command is the bigger goal. But making these battles competitive and fun is the biggest objective! What are the main differences between scenarios based on the war in China and, say, scenarios from Europe 1939-1945? Obvious differences are weapon systems that the IJA uses (vs various European combatant). Differences in national characteristics, leadership styles, training and morale level – of the Japanese, Chinese, Gurkhas etc vs the Germans, Soviets, partisans plus the myriad of Allied and Axis minors. Differences in weather and terrain – jungles, kunai, caves, beaches, marshes, palm trees and huts in the Pacific Theatre of Operations vs woods, brush, buildings, rubble etc in the European Theatre of Operations. If people want to get into the ASL system, what should they do? The heart of the Advanced Squad Leader system is the Advanced Squad Leader Rulebook (version 2). There are various modules for different nationalities and theatres. The more modules you have therefore, the more variation you will have in the scenarios you can play. The best thing to do however for new players is: Get in touch with Advanced Squad Leader players in various cities (and there are tournaments held almost every month around the world http://aslladder.com/asltournaments.html) and/or on online forums. Advanced Squad Leader is primarily about the chap across the table and definitely not meant for solo play. (Although a well-developed Solitaire ASL system does exist, it has been out of print for some time. It does indeed make solitaire play possible.) Most people in the ASL community are willing to teach new players and proficiency in the basic rules usually requires 3 to 6 games before you are ready to move into the various spectra the system can provide. The Advanced Squad Leader Starter Pack 1 is designed as an initial step to see if this game’s for them. The Starter Pack is a small, self-contained system that will help any new player make the decision as to whether to dive into the full system headfirst, at a minimal cost – and was designed to replace the long out of print original “introductory” module for Advanced Squad Leader “Paratrooper”. 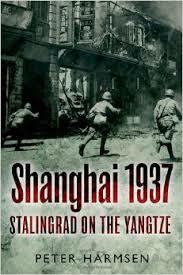 *) An incident during the 1937 battle of Shanghai when during a general retreat about 400 Chinese soldiers stayed behind, defending the Sihang Warehouse next to Suzhou Creek. The decision to make the stand at the warehouse was mainly motivated by a wish to demonstrate to local and foreign opinion China’s willingness to continue the fight. 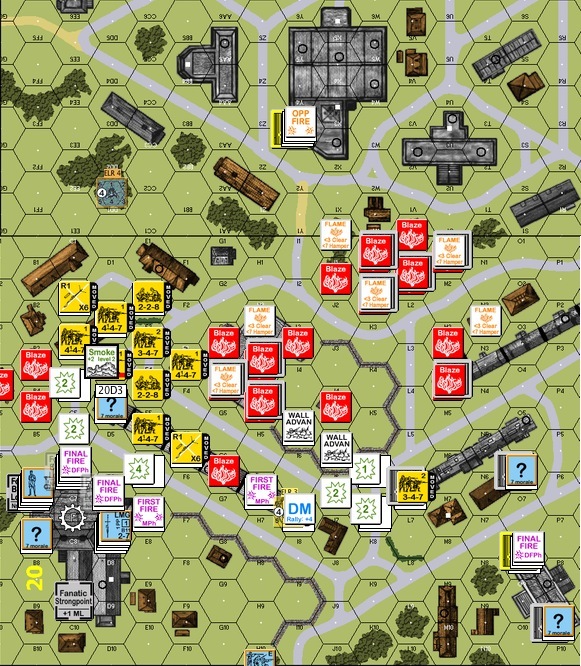 This entry was posted in Basics and tagged Advanced Squad Leader, ASL, ASLSK, Board Game, China, Hong Kong, interview, Multi-Man Publishing, Shanghai, wargame, World War II. Bookmark the permalink.